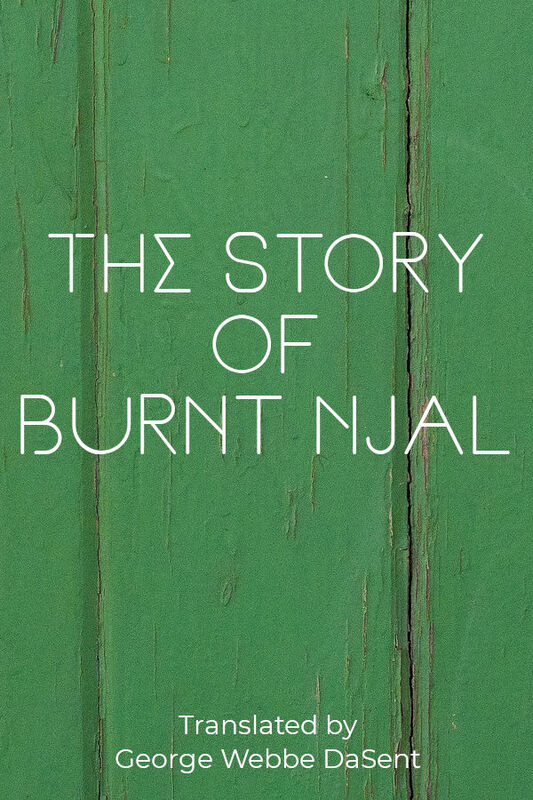 The Story of Burnt Njáll is a thirteenth-century Icelandic saga that describes events between 960 and 1020. The principal characters are the friends Njáll Þorgeirsson, a lawyer and a sage, and Gunnar Hámundarson, a formidable warrior. Gunnar’s wife instigates a feud that leads to the death of many characters over several decades including the killing by fire of the eponymous “Burnt Njáll”. The saga deals with this process of blood feuds in the Icelandic Commonwealth, showing how the requirements of honor could lead to minor slights spiralling into destructive and prolonged bloodshed.